I found this excellent article on LinkedIn and and re-blogging it here for your guidance. By now, many of us would be aware, that from 1 July 2017, earnings generated by Transition to Retirement (TtR) pensions are taxed at accumulation rates. Indeed, we are questioning what to do with an existing TtR pension, whether to roll it back to accumulation or maintain it post 30 June 2017? Through this post, I hope to share with you an estate planning consideration in situations involving TtR pensions, especially in light of typical TtR range clients (preservation age but less than 65) contributing $540,000 before 1 July 2017. For some clients, this estate planning benefit of TtR pensions could provide sufficient benefits to maintain TtR pensions or deal with new ones in a specific way. Hopefully, the example can highlight the role of the proportioning rules in ITAA 1997 307-125 at play and its use in estate planning context. What about TtR clients contributing $540,000 before 30 June 2017 or $300,000 after 1 July 2017? So that’s just setting the scene around current state of play with Julie’s superannuation savings. 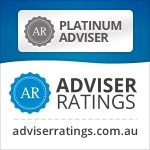 With advice, Julie contributes $540,000 to superannuation before 30 June 2017 under the bring-forward provisions (the concept applies equally to TtR range clients contributing $300,000 post 30 June 2017). Unfortunately, Julie recently became widowed. She has no other SIS dependents other than adult children. She has nominated her financially independent adult children as her beneficiaries under a binding death benefit nomination. One initial question is where to contribute the $540,000? Into her existing accumulation fund of $600,000 or a separate accumulation account/fund? Focusing on public offer funds, there is a chain of thought that perhaps Julie might consider contributing the $540,000 non-concessional contribution into a separate super account to the existing one and immediately soon after starting a TtR pension. At the heart of the issue, TtR pensions despite not being classed as retirement phase income streams from a tax perspective (and therefore paying accumulation phase tax rate) are still pensions under SIS standards. It is this classification of it being pension under SIS that allows a favourable proportioning rule compared to accumulation phase. Earnings in accumulation phase are added to the taxable component whereas earnings in pension phase are recorded in the same proportion of tax components as at commencement. If a pension is commenced with 100% tax-free component, then this pension during its existence will consist of 100% tax-free component, irrespective of earnings and pension payments. So if Julie contributes to a separate super fund or a separate super account and starts a TtR pension immediately soon after, her $540,000 TtR pension will start with $540,000 tax-free component. If it grows to $600,000 in a year’s time or two, the balance will still be 100% tax-free component. To flesh out the benefit of proportioning rules, imagine if she passed away in 8 years time. The $540,000 has grown nicely by $100,000 with the TtR pension balance standing at $640,000 (all tax-free component). Had she left the funds in accumulation, the $100,000 growth would be recorded against the taxable component. The benefit to her adult children is to the tune of $17,000. As can be seen, starting a TtR pension means that adult children benefited by an additional $17,000 and shows the differing mechanics of earnings in accumulation and TtR pensions. The larger the growth, the bigger the death benefit tax saving when comparing funds sitting in accumulation or TtR pension phase. But the TtR pension does come with a downside doesn’t it? While the pension payments are tax-free as the TtR pension consists entirely of non-concessional contributions and therefore tax-free component, there is leakage of 4%, being the minimum pension payment requirement of the TtR. For some clients, this may be a significant hurdle, not wanting leakage from superannuation, as it is getting much harder to make non-concessional contributions. For others, this could be overcome where non-concessional cap space is available (or refreshed once the bring-forward period expires) in their own name or in a spouse’s account. Going back to Julie, she may be okay with the 4% leakage as her total superannuation balance is well below $1.6 million for the moment. The 4% minimum pension payments are accumulated in her bank account and contributed when the 3 year bring forward period is refreshed on 1 July 2019. On 1 July 2019, assuming her total superannuation balance is less than $1.4 million, she could easily contribute up to $300,000 non-concessional contributions under the bring-forward provisions at that time. It is this favourable aspect of the superannuation income stream proportioning rules which could offer estate planning benefits for TtR pensions. I have seen the proportioning rules as they apply to TtR pensions mentioned by some but not by many as the focus has been the loss of exempt status on the earnings. As demonstrated by Julie’s example, for some of our clients, when relevant, the proportioning rule may be something to look out for as we look to add value to our client’s situation. 1. What if Julie was retired and over 60? Has an existing standard account based pension of $600,000 (all taxable component) with $540,000 non-concessional contribution earmarked to be in pension phase? Would you have one pension or two separate pensions? There is a chain of thought that two separate pensions, keeping the 100% tax-free component one separate, allows more planning options with drawdown and may assist with minimising death benefit tax. If Julie’s requirements are more than the minimum level (4%), then stick to minimum from the one that is 100% tax-free component and draw down as much as needed from the one that has the higher proportion in taxable component. Two separate pensions can dilute the taxable component at the point of death whereas one loses such planning option involving drawdown where a decision is made to consolidate pensions. 2. What if Julie was partnered? Naturally, there are many variables but the concept of separate pensions and proportioning continues from an estate planning perspective. The impact of $1.6 million transfer balance cap upon death for some clients may show the attractiveness of separating pensions where possible for tax component reasoning. Say Julie had $800,000 in one pension (all taxable component) and $700,000 in another pension (all tax-free component). 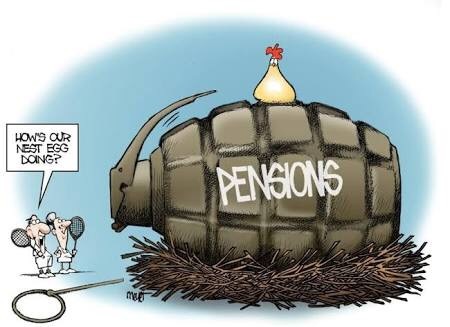 To illustrate the issue simplistically, if the hubby only has a defined benefit pension using up $900,000 of the transfer balance cap, then having maintained separate pensions has meant that he possibly may look to retain the $700,000 (all tax free component) death benefit pension and cash out the $800,000 pension outside super upon Julie’s death. This way the $700,000 account based pension (and whatever it grows to in the future) could be paid out tax-free to the beneficiaries down the track. Had Julie’s pensions been merged at the outset, the proportion of components would have been 53% taxable (800,000 / 1.5 million) and 47% tax-free. Her husband would have inherited those components. Any subsequent death benefit upon the hubby’s death passed onto the adult children would have incurred up to 17% tax on 53% of the death benefit. The example hopefully shows the power of separate pensions in managing estate planning issues. You could consider having a TtR pension simply for taking 10% of account balance out as a pension payment and re-contributing it back as a non-concessional contribution assuming Julie has non-concessional contribution space available. 2. $60,000 contributed to a separate accumulation interest before in 17-18 and separate TtR pension commenced with $60,000. At this point, Julie has two pensions. One with $60,000 and the other with say $540,000. 3. Next FY in 18-19, 10% taken from both pensions and the amount contributed to a separate accumulation interest and a TtR pension commenced. The smaller TtR pension balance are consolidated (with all tax-free component) and similar process is repeated Julie turns 65 at which time she could do a cash-out and recontribution if she has non-concessional space, including the application of bring-forward provisions. While the concepts regarding proportioning of tax components and multiple pension interests remain the same in SMSFs, the steps taken to plan and organise multiple pension interests is different to public offer funds. In public offer funds, it is typically straightforward to establish a separate superannuation account. 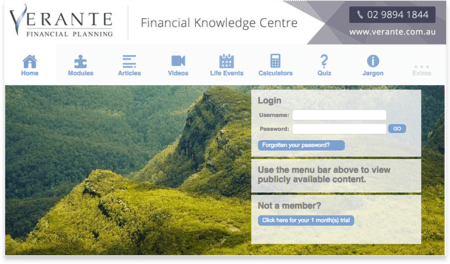 In SMSF’s, the planning around such things requires further steps. Relevant to SMSFs, the ATO’s interpretation is that a SMSF can only have one accumulation interest but is permitted to have multiple pension interests. Here is the ATO link with detail on this concept of single accumulation interest and multiple pension interest for SMSFs. No doubt, there are many other things to consider with many variables leading to different considerations. The ATO have released the analysis of the SMSF sector based on the financial returns for 30 June 2015 and some 2016 figures from their records. It’s always good to understand how the sector is developing and how your SMSF compares in the overall scheme of things. In this article I cherry-pick some of the stats that may be of interest to you. Number of new SMSFs setup each year rising again. The SMSF sector continues to grow with another up tick in 2015-6 after a slow down in 2014 and 2015. This table shows the trustee structure (either corporate or individual trustees) of the SMSF population as at 30 June 2016, plus new registrations for the years 30 June 2014 to 30 June 2016. SMSFs make up 99.6% of the number of funds and 29% of the $2.1 trillion total superannuation assets as at 30 June 2016. There were 577,000 SMSFs holding $622 billion in assets, with more than one million SMSF members. Over the five years to 30 June 2016, growth in the number of SMSFs averaged almost 6% annually. 45% of SMSFs have been established for more than 10 years, and 17% have been established for three years or less. In 2015, the average assets of SMSFs reached $1.1 million, a growth of 20% over five years. Average assets per member were $590,000, the highest over five years. In 2015, the average assets of SMSFs reached $1.1 million, a growth of 20% over five years. Average assets per member were $590,000, the highest over five years. For SMSFs established in 2015, the average fund assets were $392,000, an increase of 15% compared to average assets of funds established in 2011. 48% of SMSFs had assets between $200,000 and $1 million, accounting for 23% of all SMSF assets. The majority of SMSF assets were held by funds with assets between $1 million and $5 million, representing 54% of total SMSF assets. Total contributions to SMSFs increased by 38% over the five years to 2015. This is 6% higher than the growth of total contributions to all superannuation funds (32%) over the same period. Member contributions increased to more than $26 billion or by 54% over the five-year period. Employer contributions made to SMSFs fell by 0.5% over the five years to 2015. The Graph below compares contributions to SMSFs as a proportion of all super fund contributions for the years ended 30 June 2011 to 30 June 2015. At 30 June 2015, contributions to SMSFs represented 24% of all super fund contributions. Member contributions into SMSFs, accounted for 51% of all member contributions across all super funds in 2015, an increase of 2% over the five-year period. In contrast, the proportion of employer contributions to SMSFs has dropped over the period to only 8% of all employer contributions across all super funds in 2015. Benefit payments have increased from $19.2 billion in 2011 to $35 billion in 2015. The proportion of SMSF members receiving a benefit payment also increased by 24% in 2015. In 2015 the average benefit payment per fund was $126,000, and the median payment $62,900. In 2015, 94% of all benefit payments were in the form of income stream (including transition to retirement income streams). Transition to retirement income streams have remained steady representing 12% of total benefit payments in 2015. The majority of SMSFs continued to be solely in the accumulation phase (52%) with the remaining 48% making pension payments to some of or all members. Over the five years to 2015, there was a shift of funds moving into the pension phase (7%). Of SMSFs that started to make pension payments in 2015, 50% were more than five years old, while 23% were less than two years old. Of funds established over the last 10 years to 2015, 69% have not started making pension payments. The trend continued for members of new SMSFs to be from younger age groups. With the median age of SMSF members of newly established funds in 2015 decreased to 48 years, compared to 59 years for all SMSF members as at 30 June 2016. In 2015, SMSF members tended to be older than members of APRA funds and had both higher average balances and higher average taxable incomes. At 30 June 2015 the average SMSF member balance was $590,000 and the median balance was $355,000, an increase of 21% and 26% respectively over the five years to 2015. The average member balances for female and male members were $498,000 and $633,000 respectively. The female average member balance increased by 24% over the five-year period, while the male average member balance increased by 17% over the same period. Over the five years to 2015, the proportion of members with balances of $200,000 or less decreased to 31% of all members. SMSFs directly invested 81% of their assets, mainly in cash and term deposits and Australian-listed shares (a total of 57%). For the third consecutive year the proportion of total assets held in cash and term deposits decreased slightly (by 2%). As fund asset size increased, the proportion of assets held in cash and term deposits decreased significantly while the proportion of assets held in trusts and other managed investments increased. SMSFs in the pension phase had similar assets to SMSFs in the accumulation phase. The only noticeable differences are that SMSFs in pension phase tend to slightly favour listed shares and managed investments more, while those in accumulation phase favoured property assets more. In 2015, 6% of SMSFs reported assets held under LRBAs, which is consistent with the prior year (5.7%). The majority of these funds held LRBA investments in residential real property and non-residential real property. In terms of value, real property assets held under LRBAs collectively made up 91% or $18.5 billion of all SMSF LRBA asset holdings in 2015. At 30 June 2015, SMSFs held total borrowings of $16.9 billion representing 2.8% of total SMSF assets. The average amount borrowed increased from $346,000 in 2011 to $378,000 in 2015. In 2014–15, estimated average return on assets for SMSFs was positive (6.2%), a decrease from the estimated returns in 2014 (of 9.7%), but remains in positive terms and is consistent with the trend of investment performance for APRA funds of more than four members over the five years to 2015. The estimated average total expense ratio of SMSFs in 2015 was 1.1% and the average total expenses value was $12,200. The average ‘investment expense’ and ‘administration and operating expense’ ratios were consistent at 0.60% and 0.50% respectively. SMSFs in pension phase incurred higher average total expenses than funds solely in accumulation phase. The average expense ratios for SMSFs declined in direct proportion to the increased size of the fund. 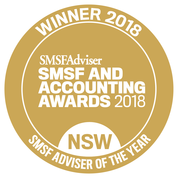 In 2015, there continued to be a trend towards SMSF Auditors performing audits for a larger number of SMSFs, with most (53%) performing between five and 50 SMSF audits, and 28% of auditors performing between 51 and 250 SMSF audits.